Of course, that street racing is dangerous and ruthless against the technique when compared with specialized karting track competition. The medical intervention occurred more frequently than usual, but none of the athletes did not obtain any serious injuries and everyone is safe and healthy. It should be noted that most accidents occurred in adult race heats, children's classes hadn't any serious incidents. Draw conclusions: adults must take an example from children's how to lead a successful street races! The race his mission performed very successfully. For lack of popularity about karting in Jelgava cannot complain, all the races along the track edge of spectators gathered in large masses. This popularity will be useful in the future for development of karting. 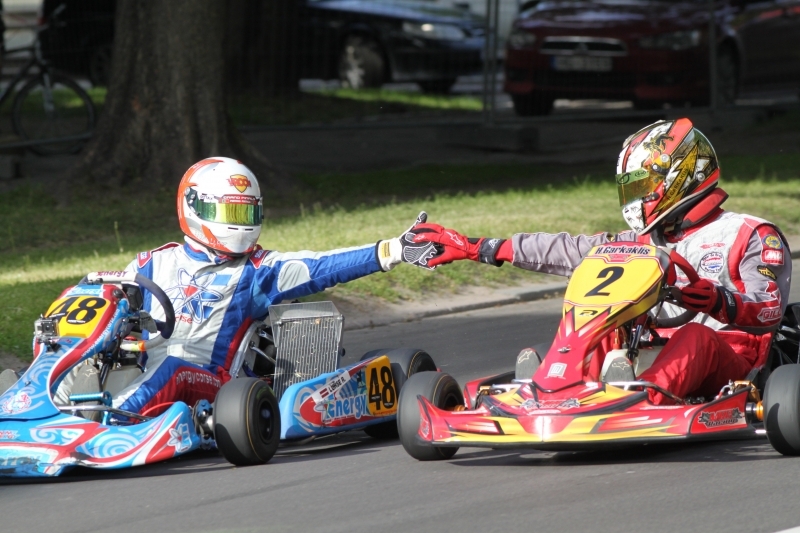 Who knows, maybe the city manage to raise funds and restore Jelgava karting track. In any case, as the race organizer Valdis Brutāns notes, then so pleased and happy drivers on the podium he hadn't seen a long time ago. Jelgava Mayor Andris Rāviņš, lingered in the event from the inaugural parade for up to awarding ceremony, what shows the sympathy of Jelgava management with what is happening. Unofficially, it is estimated that such events would be allowed to hold in the coming year. If most of all like it and Jelgava city wants itself, then why not! Results, photos, video, race report please find under tag "Race"
The next race 2nd of August in SK333, were will be held the 5th Round of Pro-Kart cup. This time we will use the long configuration and driving direction will be clockwise. You've got to be kidding me-it's so trretpaannsly clear now!